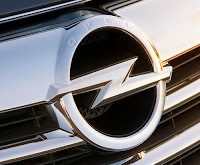 General Motors' [GM.UL] Opel unit put the best face on its parent's stunning decision to reverse course and keep its European arm rather than sell it to a group led by Canada's Magna (MGa.TO). "The GM board of directors' decision brings clarity for Opel/Vauxhall," it said in a brief statement on Wednesday. "We will actively support all parties to implement this board decision as quickly as possible in order to safeguard a successful future for Opel." General Motors on Tuesday abandoned a long-expected sale of Opel, saying improving business conditions and the strategic importance of Opel had prompted the unexpected move by its 13-member board of directors. [ID:nL4679629]. The decision torpedoed months of negotiations. It represented a setback for German Chancellor Angela Merkel, raised the risk of conflict with Opel's European unions and left open the question of how GM would finance its plan to go it alone by restructuring Opel. German officials who asked not to be named said the decision came as a total surprise to Merkel and her advisers. GM Chief Executive Fritz Henderson told a German delegation the news during the chancellor's meeting in Washington with the heads of the World Bank and IMF, shortly before her return to Berlin. Senior German officials expressed anger and frustration with GM. They said they were not worried about getting back the 1.5 billion euros ($2.20 billion) in bridge financing that must be returned by the end of the month. Opel labour leader Klaus Franz is expected to be invited to the Chancellery soon to discuss the future of the company's 25,000 German employees, the officials said.